Simply stunning! 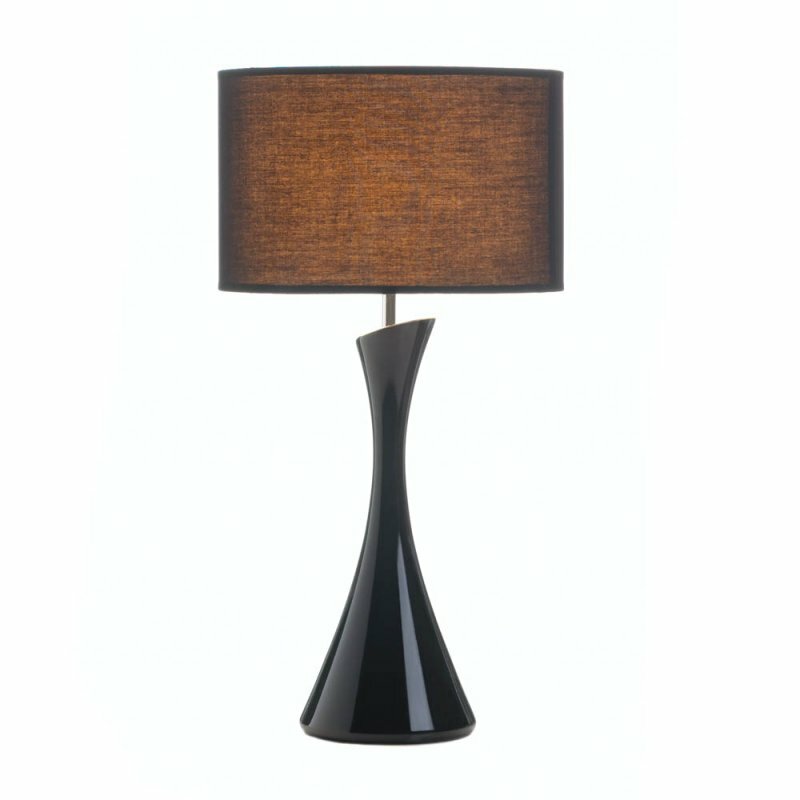 The modern and sleek design of this ceramic table lamp will shed a stylish light upon your entire room. The black base features a unique design, and the dark fabric shade is the perfect finishing touch to this illuminating work of art. UL Recognized. Light bulb not included. Ceramic base and polyester cotton shade.